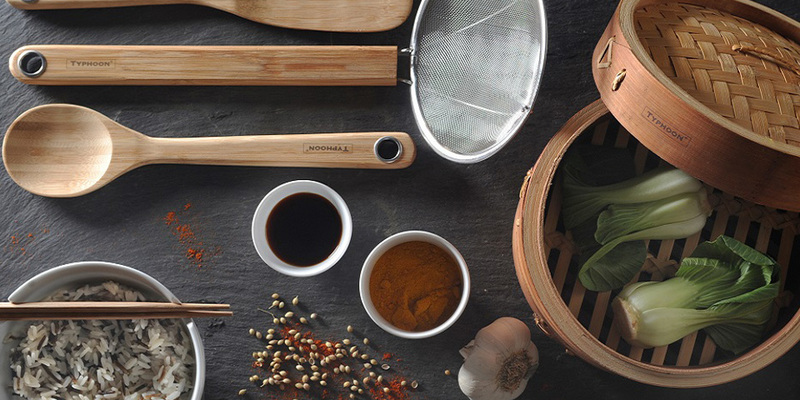 Cooking in a Bamboo Steamer not only produces extra flavourful food without having to add unhealthy fats, it also helps to preserve essential vitamins and minerals. Almost anything can be cooked in a bamboo steamer, from whole or sliced vegetables to foods like dumplings and fish fillets. The idea of a bamboo steamer is that it is placed over a pot of simmering water so the steam rises through the layers and gently cooks the food. Follow our simple steps to naturally healthy flavourful cooking. Line the bottom of each tray to stop the food from sticking, you could use lettuce or cabbage leaves, or for added flavour, banana leaves or corn husks. Then add the food you want to cook in a single layer. Make sure the top layer is covered with a lid. Using a wok or pot that is large enough to snugly fit the steamer in; fill with 2 inches of water. You can add herbs if you want to infuse some extra flavour into your food. Without the steamer in the wok or pot, heat the water until it starts to simmer. Once it is simmering place the steamer over or in the wok making sure that the lid is on. Regularly check the progress of your food and make sure that the water doesn’t dry out. If it looks like it is drying out, gently lift the steamer and add more water before replacing it back in the wok or pan. Make sure that you use oven gloves when doing this. The cooking time will vary depending on the food type and which tier your food is on. If you are cooking with multiple tiers, the top tier will take around 5-10 minutes longer than food that is cooking on the bottom layer. (1 inch thick) 5-8 minutes Cook until fish is tender enough to flake apart with a fork. Chicken Breast 25-30 minutes Cook until the meat is tender and the juices run clear. For thicker cuts make a few small incisions in the top & bottom of the meat to ensure even cooking. Broccoli florets 5-7 minutes When you can easily slice a vegetable at its thickest part, they are steamed to perfection. Once your food is cooked, remove from steamer using tongs and serve immediately.